Affordable and Charming POOL HOME!! 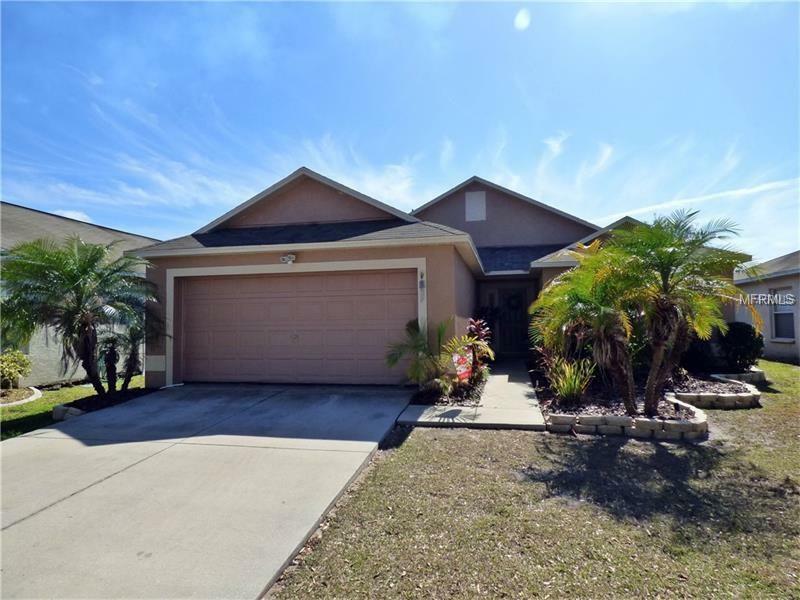 You don’t want to miss out on this 3 bedroom + BONUS ROOM, 2 bath, 2 car garage home located in KINGS LAKE community with NO CDD FEE’S! Some of the most recent UPDATES include: all new STAINLESS APPLIANCES, AIR CONDITIONER is less than 6 months old, WOOD LAMINATE and TILE throughout (except in guest rooms), there was an addition added onto the master bedroom that could be used as an office, INGROUND POOL was added in 2010, WHITE PVC fenced back yard, and a LARGE COVERED SCREENED LANAI. You will love the Living Room/Dining Room combo with vaulted ceiling and laminate wood flooring. Lots of cabinets and storage in the kitchen with a dinette. Inside laundry room for your added delight. Master Suite is spacious with a large walk-in closet. The 17'x10' covered screened room is great for entertaining or just relaxing while being surrounded by the tropical landscaping. Backyard is completely fenced. Near I-75, schools, shopping and new area hospital. Don't miss this on your tour of homes.